The dental assistant training program — aimed at providing spouses with training and marketable experience — is being offered at USAG Bavaria June – December 2017. Applications are being accepted now through Feb. 15. GRAFENWOEHR, Germany — For Military spouses living overseas, looking to get an education and start a career can be a challenge. 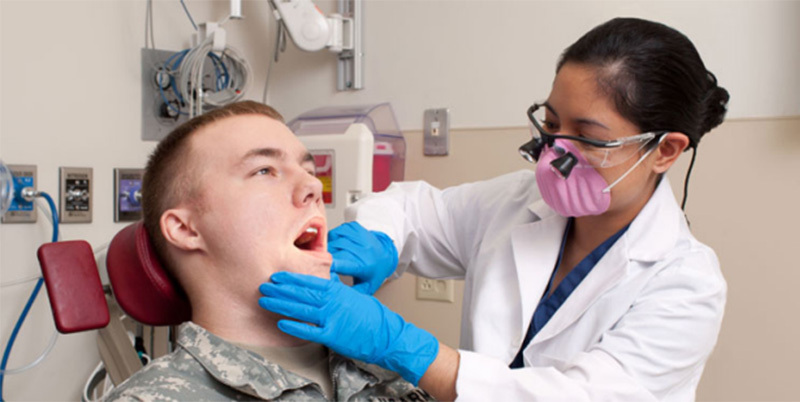 That’s why the USAG Bavaria American Red Cross and the Army dental clinics have teamed up to offer the dental assistance training program specifically to family members. While the program has done well in the past — four prior graduates, for example, have gone on to work at military clinics in Germany — it does not guarantee a job. This year the program has improved. Chair-side training time has increased to over 800 hours (previously 650 hours). Plus, the curriculum now includes more specialized experience such as pediatric dentistry and sedation monitoring. This year’s program runs June – December 2017. Based on availability, this competitive program will only admit a limited number of positions per clinic. Approximately 10 qualified individuals in total from the list of applicants will be selected. Applications are available in-person at the information sessions, or via email at Grafenwoehr@redcross.org. Applications must be submitted electronically to the Grafenwoehr Red Cross office no later than noon on Feb. 15. Capt. Jake Wilding of the Grafenwoehr Dental Clinic and Kelly Clark of the Red Cross held their first information session here Jan. 18. The next information session will be held Tue, Jan. 24 from 10 a.m. – noon in the Grafenwoehr USO conference room at Tower Barracks, Bldg. 150. Interested applicants are encouraged to attend to ask questions and get answers about the program. For more, call the USAG Bavaria American Red Cross office at DSN 475-1760, CIV 09641-83-1760, or visit their Facebook page at www.facebook.com/REDCROSSBMC.